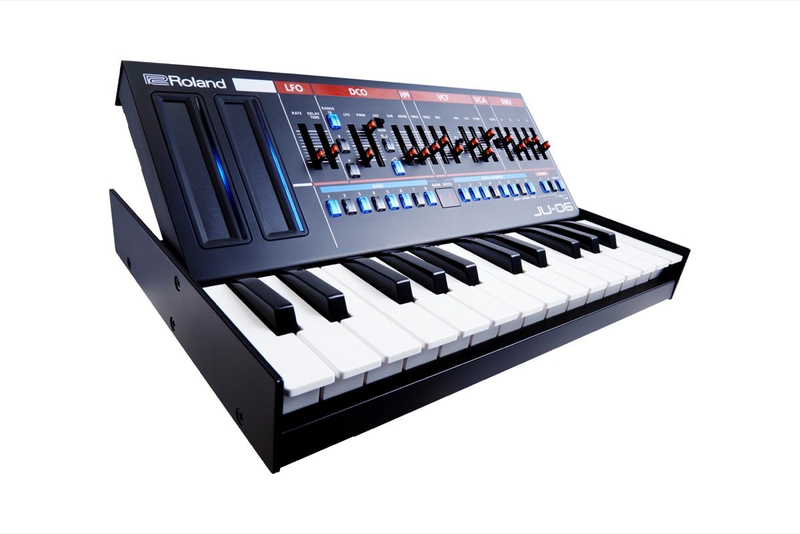 They're apparently going to be officially announced on Thursday but a retailer accidentally put them on on their site last week: JX-03, JU-06 and JP-08 (emulating the JX-3P, Juno 106 and Jupiter 8 synths). They're only 4 voice polyphonic but you can apparently chain multiple units together to make 8 voice, 12 voice etc synths. 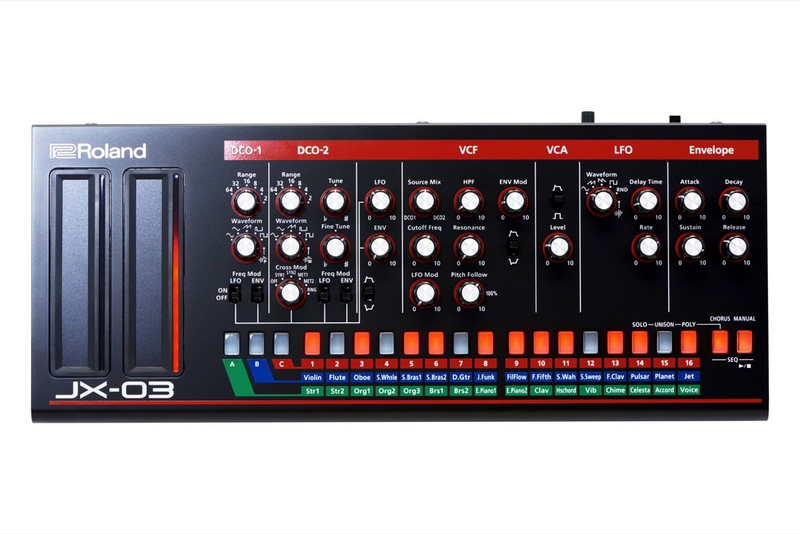 Apparently based on the same "ACB" technology in the AIRA System 1 and TR-8 machines. You can also buy a mini keyboard if you want to run them standalone. They're apparently really small. Thinking of getting one to perch on my Juno Stage. Oh, and there's a predictably hilarious nerd rage thrad on Gearslutz if you fancy a laugh. Merkin pricing was $299 for the JX-03 and JU-06 and $399 for the JP-08 on the site that jumped the gun a bit on the announcement. 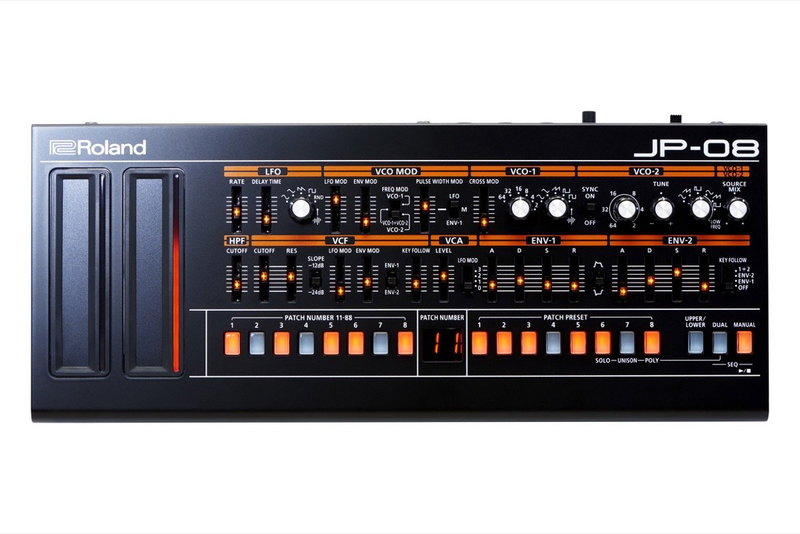 Based on a rather unscientific peek at other Roland pricing that might make the JX-03 and JU-06 about �219 and the JP-08 about �319? Leaked on a pre-order list, not sure if it wasn't planned. But the funniest thing has to be the Akai Tom Cat and Timbre Wolf, they were on pre-order on a lot of sites, but got taken down because of constant delays (I think there have been already 3 or 4 missed release dates, all in different months). Yeah, seen a few people suggest the "leak" might have been part of the marketing campaign. Apparently it has happened before with Roland product launches. No idea if there's anything in that theory though. I'm happy for other people who are happy and excited about these. Seems like a really smart way to go, considering the 80's sound is also today sound because the youngsters hate me. They've been officially announced now. Andertons have them up for pre-order at �229 for the JU-06 and JP-03 and �299 for the JP-08. The little keyboard dock thing is �75. i got excited about these, but they're 'very limited edition' (why??) and they don't have a mains power input (bang goes using it onstage without a laptop then). i'm not in a position to buy the jupiter module right now, so i guess i'll never get one, as they'll sell out immediately. A USB power supply is very cheap and common. Not sure how "limited edition" they are. Might just be marketing speak to drive sales to people who think they might miss out. I hope they're not too limited as I wouldn't mind picking at least one up. They're bound to use the tech in something else though (polyphonic AIRA synth probably). I love the look and function of these, but I'd really need to play around with one to see what sort of sounds I can get out of it. the main problem I have with these is that they are 4 voice. the jupiter was obviously 8 voice, and with this sort of modern virtual analog tech there is no reason you couldn't have 16 or more voices. the roland sh-01 is 64 voices. I would have much rather seen this in a 49-key version like the sh-01, with at least 16 voices and more performance features. This just seems very artificially handicapped to me. 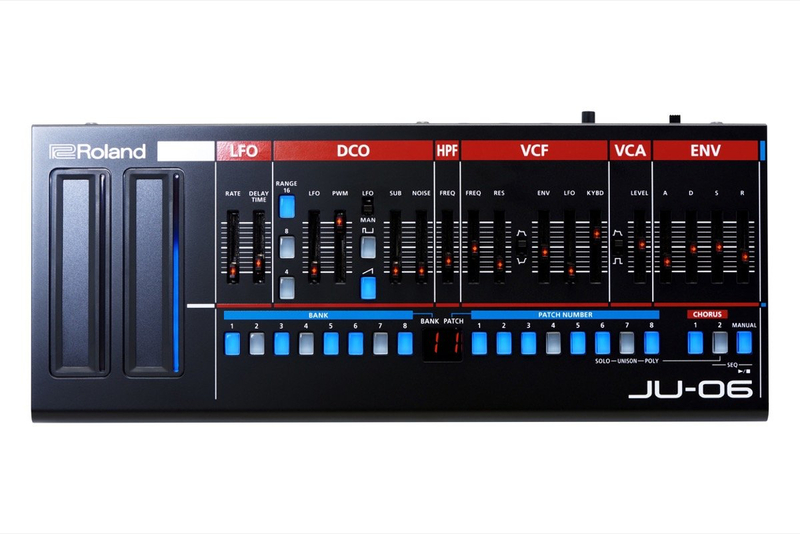 Just ordered the Juno one of these. Cue Roland announcing a 12 voice version at Musikmesse next month. cool should be fun. I guess they are thinking 4 voices is maybe just enough for a large amount of people's uses. you can chain multiple units together though. I saw a chick with dual JU-O8s in her setup, play a gig last weekend. They sounded fantastic but she seemed to have a bit of a hard time tweaking them on the fly. At one point, she had to break out a mini flashlight, in order to work something out. I think that the small form factor and the bright LEDs on these might be a bit much for stage use. JU-06s or JP-08s? The sliders on the JP-08s are really small. Was a bit worried about the 4 voices though. I think it should be okay for my needs, and can always layer stuff up if needs be.